I was at this conference and caught a bit of his talk. It was very interesting. I really think you will enjoy this! I LOVE Astrid too! What a beautiful light! Astrid on Air with Steven D Kelley on the Brilliant Essence radio show. 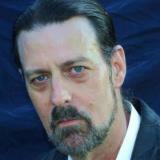 keynote speaker at the Alchemy Event 2012 Cosmic Activation presented in Los Angeles this Nov 16, 17, 19. This event will feature numerous powerful speakers who will address our future with respect to the cosmic events coming soon.